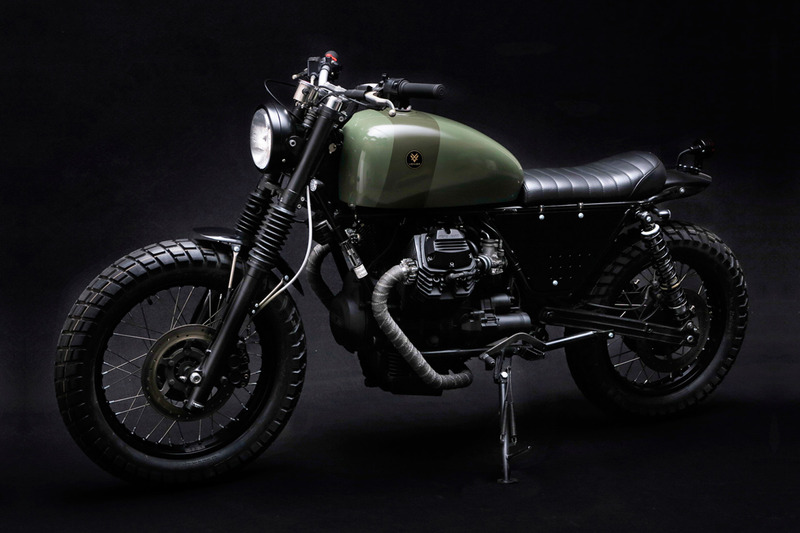 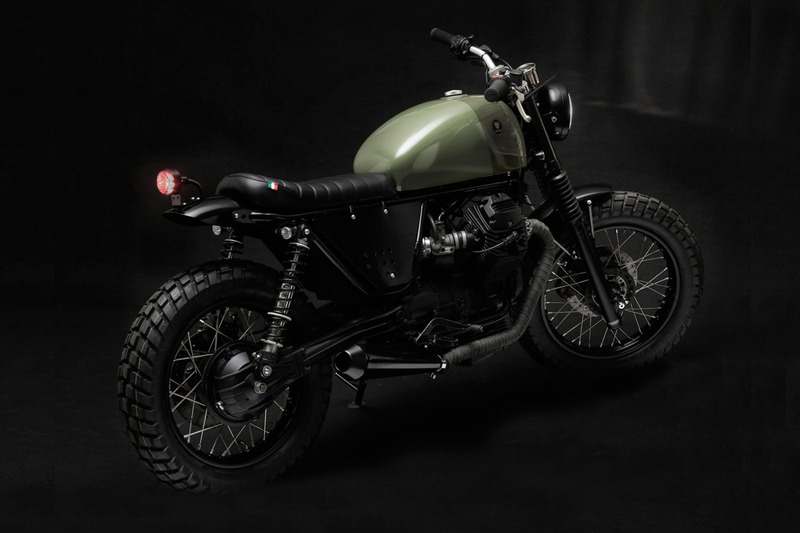 The Tractor V75 is a restyling of the Moto Guzzi NTX 750cc of the italian police force that was made in the '90s, we created a real Moto Guzzi Scrambler. 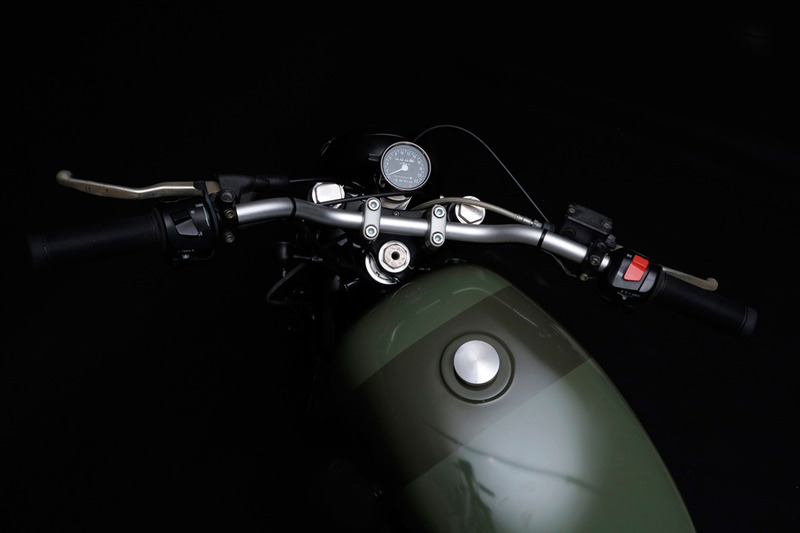 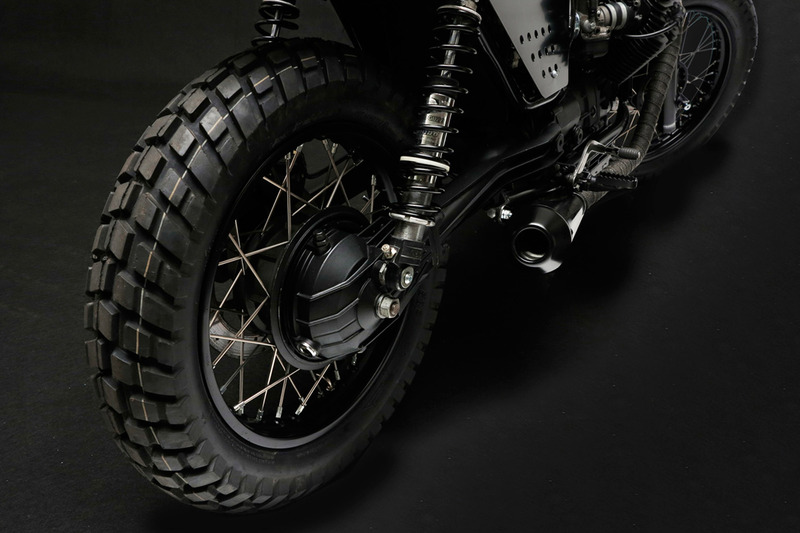 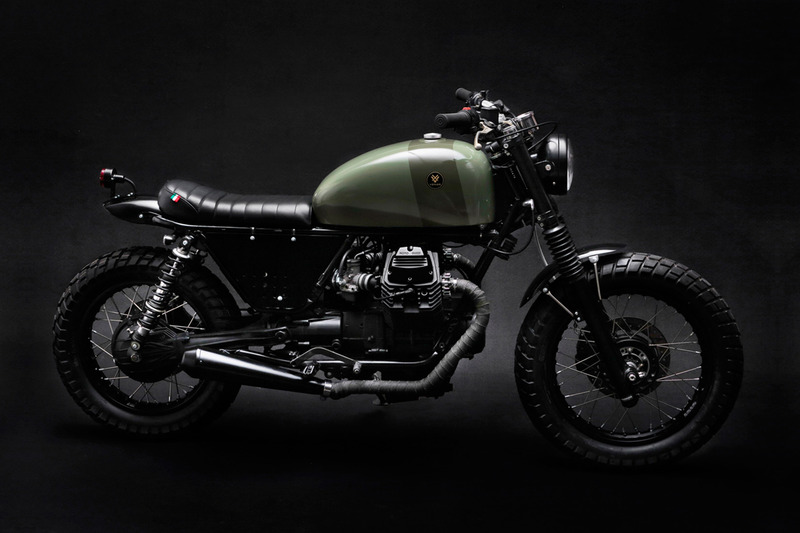 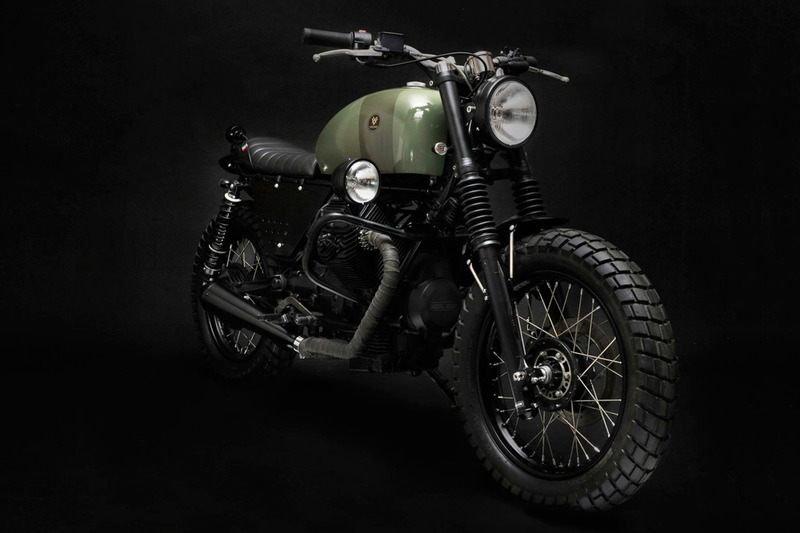 The motorcycle features a double front light, Vee Rubber tyres, two into one custom pipe, hand made tank and gas cap, leather seat, fenders, brackets and sides. 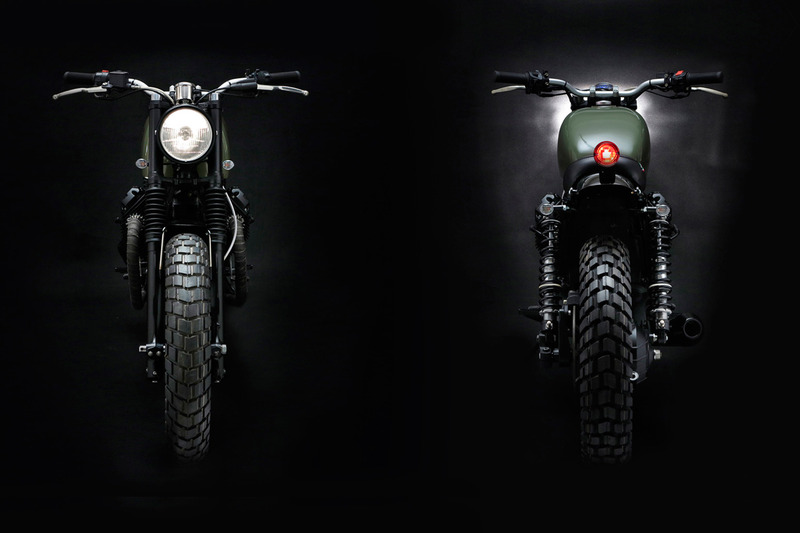 Is one of the first customs we have done and gave birth to the Tractor series.